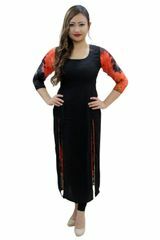 Get set & go with this amazingly comfortable and stylish kurti from the house of CrazeVilla. 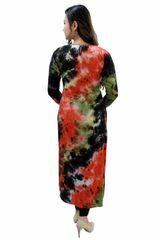 This kurti has multi-colored printed rayon back and sleeves. 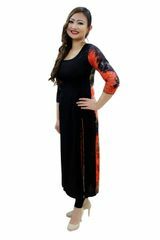 Front section of the kurti is in black rayon and is having 2 slits.